Location, Location, Location! Price improvement on this Hot 28205 zip! Minutes to NoDa and uptown Charlotte! 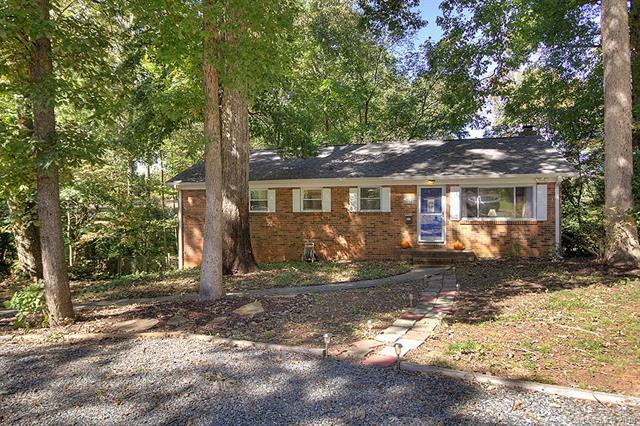 Great brick ranch with partially finished basement and tons of storage! Original hardwoods throughout most of home, wide plank in kitchen area--NO carpet in main floor. Both bathrooms have been updated with subway tile. Kitchen with lots of cabinets and built in desk area, eat in breakfast area with pantry, refrigerator stays ( less than a year old) Master with private bath- and large closet. This home has a large basement area-- finished family room with fireplace is perfect for entertaining and opens to backyard. The basement also has large utility/storage area and shop area with one garage roll up garage door approximately 800 square feet of storage/work area. Large deck over looking a private cul-de-sac lot and fire pit area.